A Lebanese judge has hit out at the nation’s endemic corruption, saying half of the public sector employees should be sacked, and admitting that people had tried to solicit bribes from him. 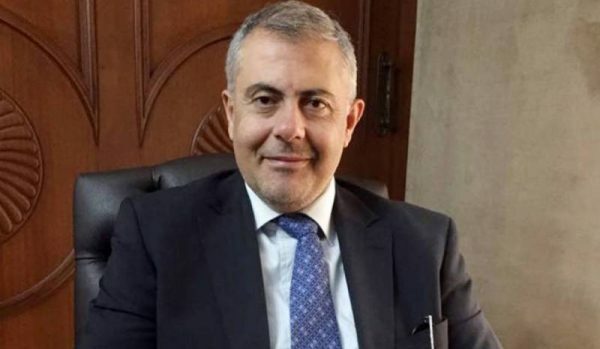 Marwan Abboud, who heads a body empowered to fire civil servants, blamed an archaic bureaucratic process and a fear of reporting misdeeds for the small number actually dismissed for wrongdoing. “Half of the Lebanese state employees must be fired on charges of corruption,” he said in an interview with the local Al Manar TV station this week. Nicolas Tueni, who was appointed Lebanon’s first minister of state for combating corruption in 2016, quickly shot down Mr Abboud’s suggestion, telling The National on Thursday that no one would be fired “unless it is proven that he is guilty”. “We are not a police state. We will not fire anybody just because we have some doubts. If these doubts are confirmed to be true we will fire them,” the caretaker minister said. But Mr Abboud’s remarks reflect a growing frustration among officials and campaigners fighting corruption in Lebanon, even as leading politicians claim to be making it a priority. Despite recent efforts to tackle the issue, graft remains a part of daily life. Lebanon was ranked 143 out of 180 countries in Transparency International’s Corruption Perception Index last year, the country’s worst ranking since it was first included in the index 15 years ago. President Michel Aoun has repeatedly spoken out about the need to tackle corruption, promising that reform would “be at the heart of the upcoming government’s attention”. But despite such pronouncements, many see the problem getting worse. Cronyism is a chronic issue, with top positions in government and in the private sector often handed to family members. Lebanon’s public sector is notoriously overstaffed and ineffective, but it is incredibly difficult to fire people. Mr Abboud heads the Supreme Disciplinary Board, which is responsible for ruling on allegations of impropriety and corruption against civil servants, and sacking them if necessary. However, his office can only act if another body, the Central Inspection Bureau, brings the cases to the board. “Unfortunately, this rarely happens. Therefore, the committee has not been able to fulfil its duties,” he said.